The Summer We Read Gatsby is a fictional recounting of the summer of 2008 as told by the main character Cassie. Set in Southampton, LI (complete with references to Rte. 27, Riverhead and the LIE among other familiarities), Cassie and her half sister Peck embark upon emotional, romantic and nostalgic journeys that will change their lives and relationship with each other forever. Having been bequeathed a ramshackle, yet charming beach house by their beloved Aunt Lydia, the girls stir up old romances and fond memories from the summer they read Gatsby, seven years earlier during a summer stay with their aunt at the same beach house. 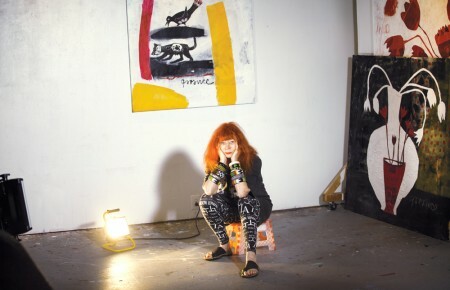 Ganek’s characterizations of the two polar opposite sisters and of the flamboyant, eccentric personalities of the Hamptons crowd are expertly portrayed and often hilarious. Her imagery is sharp and for the length of the read, she makes you feel as though you are a “Hamptonite” yourself, living among them. From the themed parties to the gawkers at the helipad waiting to catch a glimpse of the rich or famous arriving for a weekend, her portrayal of the renowned East End playground is dead on. It has now been over a century since Dracula was successfully vanquished in Bram Stoker’s original book, Dracula, written in 1897—or so we think. Dacre Stoker, Bram’s great-grandnephew, and screenwriter Ian Holt, who lives on Long Island, bring this classic horror story back to us in the official sequel, Dracula The Un-Dead, to give the tale of Dracula a whole new spin. The sequel starts up 25 years after the original novel left off. Jonathan and Mina Harker, whose marriage is on the rocks, have a son named Quincey who pursues a career in acting. He becomes part of a troubled production of the play Dracula, and soon finds himself being hurled into a world of his parent’s past, forced to deal with the dreadful secrets they’ve hid from him his whole life. As Quincey realizes he is in great danger, he must figure out whether Dracula is in fact still alive and seeking revenge. We’ve all been guilty of asking the unanswerable question: “What if?” But if you had the chance to go back in time and actually find out the answer for yourself, to put an end to the exhausting hypothesizing and endless pondering, would you take it? Ellen Meister investigates this intriguing idea in The Other Life, which portrays the complex relationship between life as we know it and life as it could have been. The novel, which stands out among Meister’s earlier, more light-hearted and comical books, follows Long Island native Quinn Braverman as she is given the opportunity to indulge in the carefree life she chose not to take. After discovering all that life could have held, she now faces yet another life-altering decision: Which is the life she prefers? 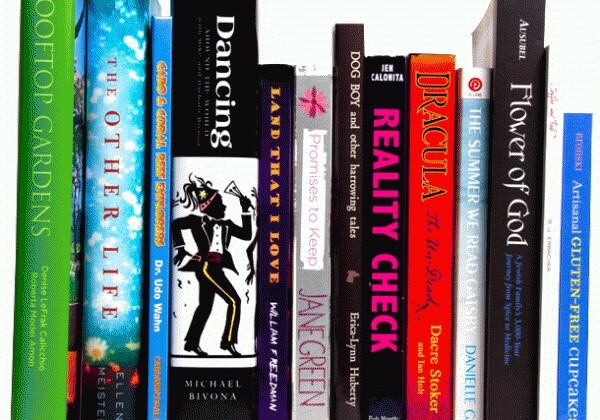 Michael Bivona puts an interesting spin on a travel memoir in Dancing Around The World, which follows him and his wife as they literally dance their way throughout the world. The book not only illustrates their dedication to dancing but also recreates the specific ambience and cultural quirks of each exciting location they visit, from Paris and Argentina to Hawaii and the Caribbean. Bivona combines the expository information necessary to truly appreciate dance as an art form with illuminating descriptions that fully immerse the reader in these various backdrops. Photographs, short biographies of select dancers, and even a few dance lessons all result in a memoir that creates its own sort of delightful sub-genre. Sci-fi fans or anyone looking for an outrageous read will relish Land That I Love, William Freedman’s outlandish novel debut. The satire takes a sharp turn from the writer’s non-fiction stints at various business-related publications and allows him to indulge in his less-professional penchant for science fiction, dark fantasy and horrific humor. Set in the distant future, Land That I Love deals with two rival presidents as they wage a galactic hyper-power war against one another that will eventually change the American role in international and universal politics. Love cupcakes but can’t have or don’t want the gluten? Authors Kelli and Peter Bronski have composed a book, which includes 50 recipes for various cupcakes, all of which are gluten-free. The book includes step-by-step instructions and also has recipes for gluten-free frosting. Many of the recipes are also accompanied by an appetizing photograph, which may help those to see the light at the end of the tunnel when baking. In the back of the book there are baking tips for those who do not just want to eliminate gluten, but ingredients such as sugar, dairy and eggs as well. The authors, both living gluten-free, have put together a helpful, compact book that definitely occupies a niche not well filled up to now. Dr. Udo Wahn, a Sayville native, values the importance of teaching children how to save and preserve the ocean and all of its resources. Cabo & Coral Reef Explorers demonstrates such values by allows readers to learn through the eyes of two young adventurers trying to captivate the spirit of “Aloha,” a Hawaiian word with an original meaning of “love, kindness, and sharing.” Illustrator Jennifer Belote’s brightly colored pages were used to capture the young characters on their snorkeling, surfing, and kayaking journeys. Author’s Denise LeFrank Calicchio and Robert Model Amon challenged themselves to show readers a different side of New York City. Over 100 bright daytime photographs by Norman McGrath highlight Rooftop Gardens, the terraces, conservatories, and balconies of New York City. Advice on optimizing garden space, outdoor furnishings and appropriate greenery, accompany full-spread photographs of gardens that emulate botanical gardens while displaying the Manhattan skyline in the background. Calicchio and Amon further describe how certain gardens coordinate with certain buildings based on their height and architectural surroundings. Coffee and Fate is a novel in which portrays the story of how two very different people meet at a coffee shop and ultimately change the fate of the world. An older man, Bud and a young female college student, Val meet and form an unusual bond and unique friendship over a cup of coffee. Each character has a special ability; Bud can envision future events for certain people and Val holds a mysterious supernatural ability that allows her to save lives. Bud’s vivid vision brings him to the coffee shop where Val is on the day they meet. When they meet, there is an instant connection and the two are brought together because of their rare abilities. Although they are complete opposite in many ways, Bud and Val are able to unite for a much larger purpose. A collection of six short horror stories, all of which contain the typical eerie, sometimes creepy, frighteningly realistic elements of gothic literature. The book opens with title story “Dog Boy,” which tells the twisted story of prison guards who train dogs to hunt prisoners for the guards’ own amusement. This story explores the complicated nature of the relationships between both man and beast and prisoner and guard when faced in the confines of prison walls. And there are other standout stories. “Counting Sheep,” takes place on a farm in Bridgehampton. Set in 1940, a 7 year old German girl struggles with the hardships of being German in the United States on the brink of World War II. “Blackbrooke Hall” also takes place on Long Island: In an abandoned Amagansett mansion. A group of young socialites encounter a New Year’s Eve gone awry as they discover that the mansion is filled with an unnerving butler, haunting hallways, and a terrifying corpse. The Deal is On Strike Three calls upon the same themes from perhaps baseball’s most famous poem “Casey at Bat” (written by Ernest Lawrence Thayer) to teach children a lesson about values. It includes an introduction and foreword by Baseball Hall of Fame legends Bob Feller and Tom Seaver, respectively. The book itself captures the attention of multiple generations, as parents can be pleased by the book’s moral compass and children will be entertained by the book’s baseball theme. The illustrations are casual sketch-like drawings, which help children in following the narrative. The story draws upon a classic theme of a son whose number one role model is his father. The father is a baseball player who plays the game for the sake of fortune and fame, instead of because of his love for the game. Queue the story’s villain: A sinful and mysterious man who offers a deal to the son in order to regain his father’s honor. The son is forced to make a choice between fame and fortune and his father’s happiness. Jane Green, New York Times bestselling author, sometimes referred to as “queen of chick lit” is back with her newest novel, Promises to Keep. Green knows her target audience well (women who don’t mind a book that’ll make you cry) and even more than that knows how to draw her readers in page by page. Moving the scene from the hectic hustle and bustle of New York City to the comforts of the country in Bedford, life also transforms for sisters, Callie, a photographer and stay at home mom, and Steffi, a chef, who both must deal with the unexpected surprises life throws their way. With valuable life lessons at the end of each chapter, along with a recipe that follows, the reader is left with a deep appreciation of the things that matter most in life like family, friends, triumph and good food. Dr. Herbet Ausubel is not your typical doctor. Sure, he was a learned historian prior to completing his degree at Harvard Medical school, but his passion for medicine was not enough to quell his desire to tell the story of his family and the Jewish people. 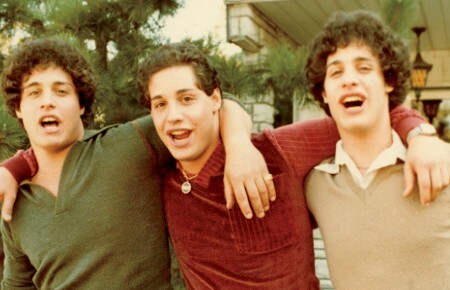 Since he was a young boy, Ausubel was interested in leaving a legacy behind of his own story, and as he grew older, he sought to leave behind the story of the Jewish people, too. He wished to enlighten people of the hardships his Jewish ancestors faced. His book chronicles his own history through his paternal ancestry across 3,000 years. The book begins with the story of Ausubel’s own son’s bar mitzvah day, but it soon moves on to the author’s childhood in Brooklyn. The story traces the history of Ausubel’s family from its 3,000-year-old history in Israel, to Babylon, Persia, Anatolia, Eastern Europe, and to his modern day life as a doctor in the United States. With the advent of multiple major e-reader devices, e-books are more popular than ever, with about 1 in 4 Americans now reading e-books. In fact, from 2009 to 2010, there was a nearly 190 percent increase in e-book sales. As e-books gain increasing mass appeal, the long-time stigma against self-published e-book authors is quickly fading away and e-books have even made frequent appearances on the past year’s best-seller lists. Long Island author are no strangers to this exciting trend. 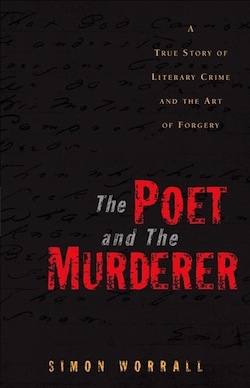 In Simon Worrall’s first book, he explores the complicated mind of notable American forger, counterfeiter and convicted murderer Mark Hofmann. As the book’s title suggests, the plot revolves around more than just Hofmann, but also around poet Emily Dickinson. The book begins with the sale of a newly-discovered Emily Dickinson poem at an auction. It is soon realized the poem was actually forged by Hofmann and Dickinson never wrote such a poem. The book explores details of how Hofmann expertly forged documents and the impact of his Mormon upbringing on his future life of crime. The book features a chapter dedicated entirely to the science behind forgery as well as references to commonly-known Hofmann forgeries such as the Salamander Letter and how Hofmann attempted to discredit the Church of Jesus Christ of Latter-day Saints through his forgeries. 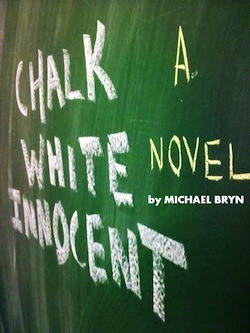 After a career as an educator for over ten years, author Michael Bryn explores the secrets behind schoolyard walls in his debut novel Chalk White Innocent. The novel provides a rare glimpse into the complex relationship between a student and a teacher. The novel’s protagonist, Benjamin Hollis, is an average high school teacher who spends his entire life avoiding risks. After his mentor dies early on in the book, Ben is asked to direct the school play where he meets student Amy Cabbot. Ben and Amy’s relationship quickly develops beyond the scope of the drama stage, and it is not long before Ben and Amy’s relationship touches upon the illicit. As the plot thickens, Amy leads Ben to question why he abandoned so many of his dreams in favor of stability, and Ben consequently begins to question his secure—yet unfulfilling—lifestyle. For the first time in his life, Ben chooses to abandon the cautious road in favor of risking it all for love.